Commander-in-Chief of Defence Services Senior General Min Aung Hlaing, accompanied by Commander-in-Chief(Navy)Admiral Tin Aung San, Commander-in Chief (Air) General Maung Maung Kyaw, senior military officers from the Office of the Commander-in-Chief, Central Command Commander Brig-Gen Kyaw Swa Lin and officials, visited Thazin Broadcasting Station of No (1) Tatmadaw Broadcasting Unit in PyinOoLwin this morning. At the meeting hall of the station, the commandant reported on broadcasting services in respective sectors, construction of re-transmission stations for broadcasting across the country and welfare tasks for Tatmadaw families. In response to the report, the Senior General said broadcasting services are being provided to inform, entertain and educate people. As Myanmar practises multiparty democracy, it is necessary to broadcast programmes enabling the nationalities to understand democratic system, to forge Union spirit, to cultivate the spirit of safeguarding Our Three Main National Causes and to have the spirit of “We all are Myanmar.” It is also required to extend broadcasting programmes in various ethnic languages. Moreover, suggestions must be sought from public radio listeners and implementation of those suggestions needs to be aired. News programmes must be aired on a timely basis and they must serve the interest of the people. 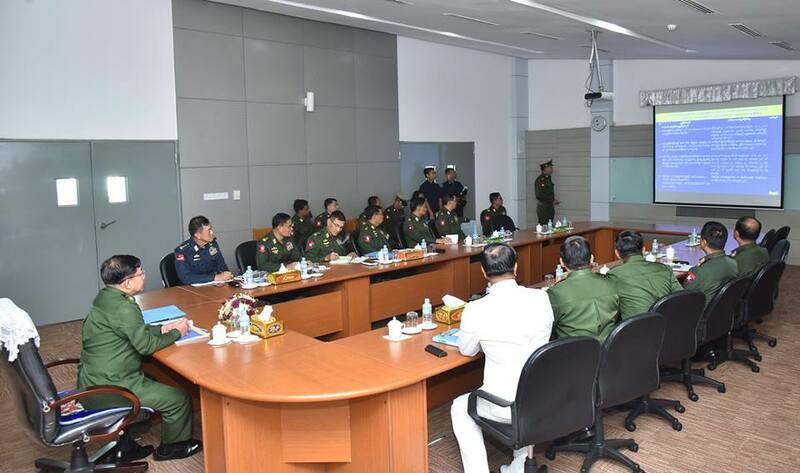 The Senior General then gave instructions on broadcasting of sector-wise programmes in various ethnic languages, ensuring that news readers articulate properly in presenting news programmes, focusing on maintaining national character although news programmes need to be modern and taking systematic measures for the welfare and better transport of Tatmadaw families and staff. 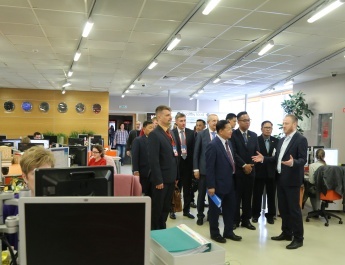 Next, the Senior General and party looked round in the station and inspected news broadcasting. They were conducted round there by officials. The Senior General and party inspected war veteran housings in PyinOoLwin in the afternoon. 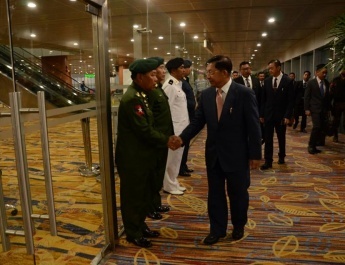 Quartermaster-General Lt-Gen Nyo Saw and Director of the Directorate of Military Engineering Maj-Gen Maung Maung Myint reported on progress in construction work. In response, Senior General Min Aung Hlaing stressed the need to build the housings in accord with the set standard, to pave corridor paths for doing physical exercise, and establish cottage industry to provide job opportunities for family members of war veterans. The Senior General and party then looked around the housing for war veterans and were conducted around by officials. Around 85 percent of the construction of 10 units of four-storey buildings with two apartments on each floor for other ranks has been completed. More apartments for junior officers and other ranks will also be built. 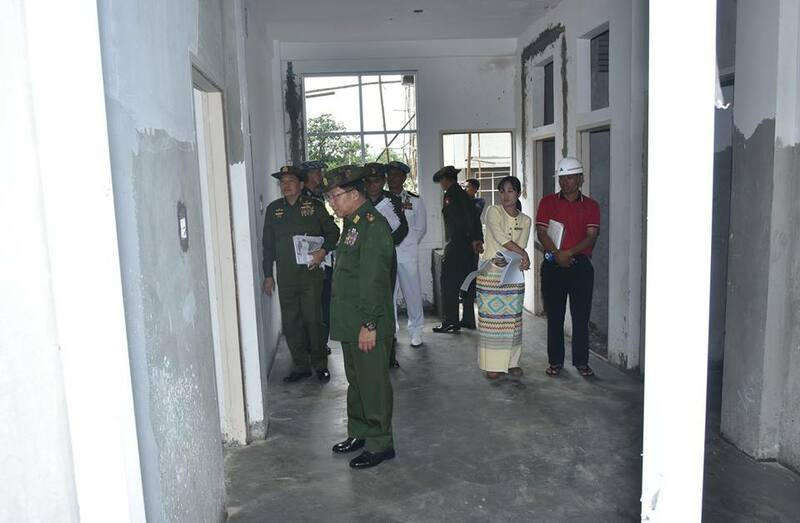 The Senior General and party then visited the local Tatmadaw engineering training school. 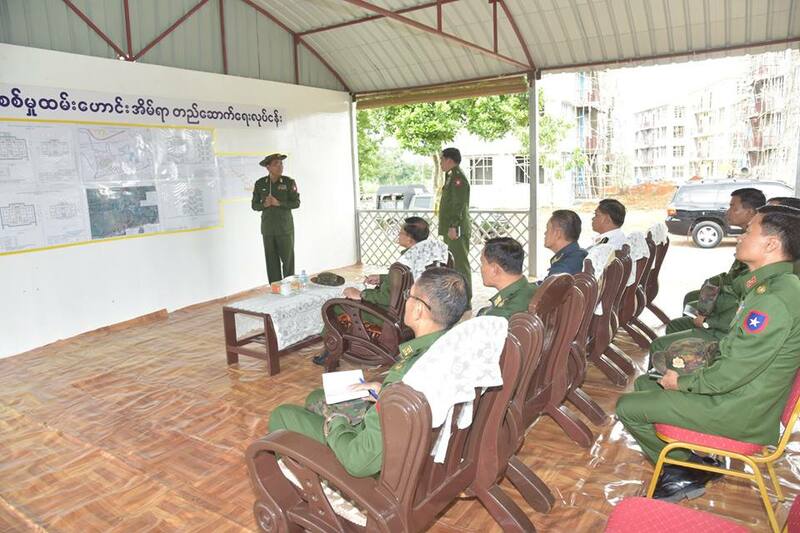 At the meeting hall, the commandant explained functions and courses provided by the school, and farming for welfare of Tatmadawmen and their families. The Senior General attended to the needs. 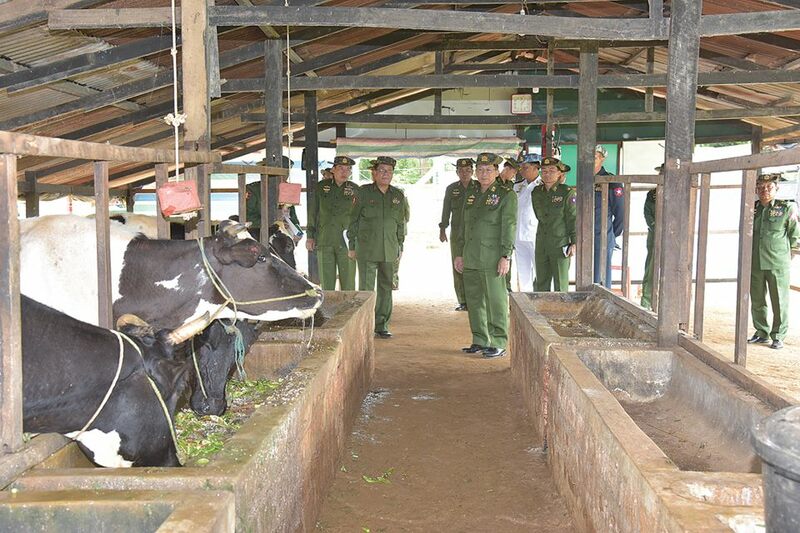 The Senior General and party then inspected breeding of DYL swine, Novogen brown layers and dairy cows at the farm of the training school. 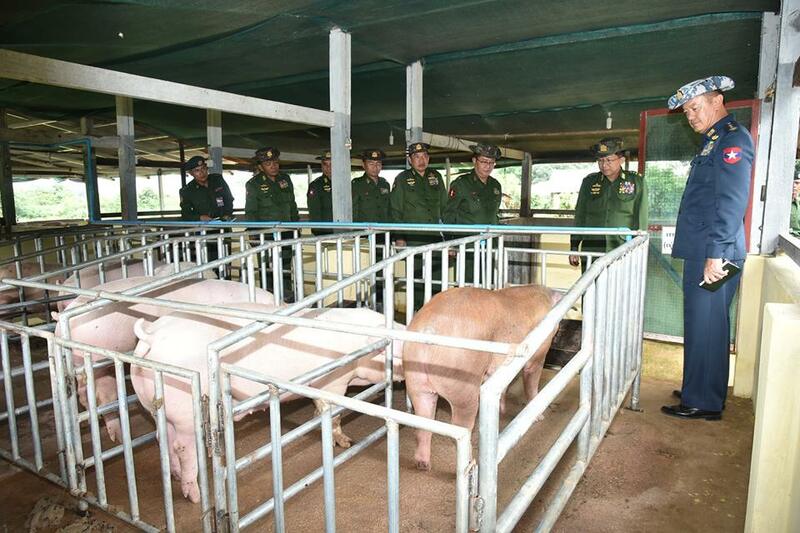 He instructed the responsible officials to breed the farm animals systematically and neatly and sell them to family members of Tatmadawmen systematically.